On the basis of past articles, regular readers should know by now that next year will mark the centennial of the death of Claude Debussy on March 25, 1918. We should therefore be prepared for a generous number of recordings released to mark this occasion. Whether or not Warner Classics deliberately planned to be “first out of the gate,” they have already made their mark with a five-CD box set of Debussy’s piano music performed by Walter Gieseking. This is based on recording sessions at Abbey Road made between 1951 and 1955 with production credits shared by Walter Legge and Geraint Jones. Given those dates, it is no surprise that these are monaural recordings; and the CDs are based on remastering sessions that took place in 2011. It is, perhaps, one of music’s most amusing ironies that the greatest of all Debussy pianists was German. No pianist in my experience has ever equalled Gieseking in the outer nonchalance but inner concentration of his Debussy, in his uniquely luminous sense of colour and texture. Curb your enthusiasm, Bryce! 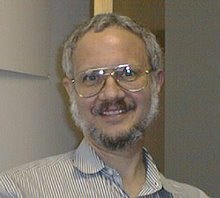 As is almost always the case where such cultism is involved, the recordings themselves speak far more powerfully than the self-appointed (anointed?) acolytes. 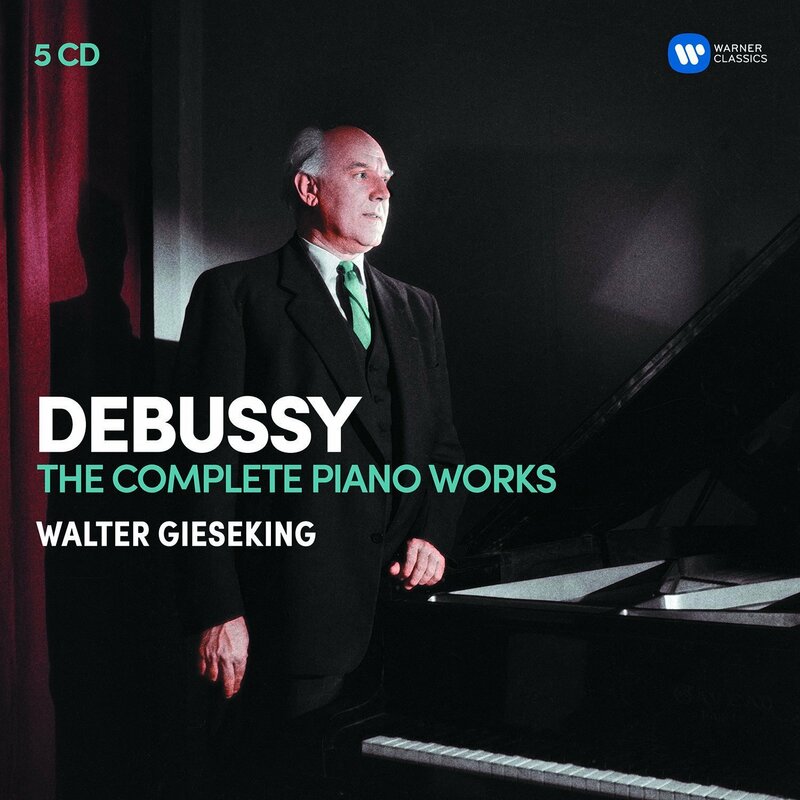 For those familiar with even some of the Debussy catalog of piano works, what matters most in these recordings is Gieseking’s clarity of execution. Those who wish to follow the score pages obsessively can take pleasure from the simple virtue that all the notes are both there and in the right place. Furthermore (and this is what probably matters most in my own book), Gieseking was not one to ride the damper pedal to add his own brand of expressiveness. He appreciated the extent to which Debussy’s music can speak for itself, and nonchalance simply does not figure into the equation. I am also happy to report that the American release of this collection repaired a minor error in the earlier release that seems to have taken place in Europe this past August. Those who check out the above cover image, taken from the Amazon.com Web page for this album, will see the adjective “complete.” To his credit Morrison uses that same first paragraph to make clear that this is not a “complete edition.” How could it be? One of Debussy’s piano pieces was only published in 1978, over twenty years after Gieseking’s death! I was thus comforted to see that the box being distributed in the United States has the more modest title The Piano Works! Lest I be accused of too much mockery, let me be clear that, as a rank amateur who has struggled with several Debussy piano pieces, I value this remastering of Gieseking highly. Nevertheless, it is but one document from one particular period in history that reflects the ideas of one pianist who had his own opinions of how Debussy’s music should be played. There is clearly solid logic behind those opinions, but we must not lose touch with the fact that they are opinions. In his essay about Edgar Varèse in which Henry Miller was quick to criticize those who tried to dismiss Varèse’s “credentials as a composer,” Miller reminded us all to “make room for the others, the coming ones, the ones who are already scratching on the window-panes.” This is as true of the interpretation of old music as it is about the making of new music. My guess is that the coming centennial year will introduce us to others “scratching on the window-panes” with their own approaches to interpreting Debussy’s piano music. (The fact is that I have already been writing about some of them.) This new Warner Classics release allows us to approach Gieseking as a point of reference, but we should not let the enthusiasts trick us into thinking of him as the “final” authority.